Throughout the year, DePauw students are adding to our body of knowledge during undergraduate research, scholarly and creative activities. 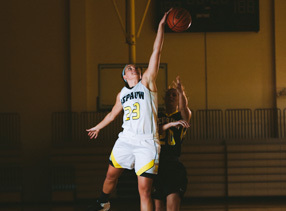 DePauw students conduct research in a wide array of disciplines. While working in a science lab is often the stereotypical example of research, DePauw students also routinely conduct research across the humanities and social sciences. Art history, biology, computer science, education studies – wherever there are questions, there is research to be done. When you participate in undergraduate research at DePauw, you will be joined by a faculty mentor who will lead or guide the exploration. You might contribute to an ongoing project, or you may seek answers of your own and find a faculty sponsor for your work. Whether you pursue your research independently or in collaboration with others, you will leave the experience with a better understanding of your own interests and of the fascinating world you inhabit. Participating in undergraduate research will help you grow intellectually, personally, and will also develop skills that will benefit you professionally after graduation. Our general academic curriculum is intellectually rich and allows students to explore topics that span the natural world and human endeavors. When students engage in undergraduate research, they are applying the breadth of their knowledge to a topic they find deeply interesting. During such explorations, students learn how to read and understand primary literature, and also develop critical thinking and analytic skills and learn to apply them to their topic of choice. Students also learn valuable skills that can benefit them in their professional work after graduation. Learning how to work independently as well as knowing how to work well as a member of a team are two important skills that employers and graduate programs value. 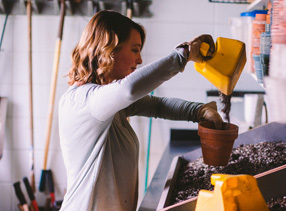 Undergraduate research projects provide an excellent training ground for these two skills, while at the same time cultivating relationships with faculty mentors who can provide recommendations for opportunities outside DePauw. Finally, students can experience personal growth through the undergraduate research process. Working on a research project often leads to a great sense of accomplishment and personal satisfaction. Student researchers can also try out potential interests and learn what it takes to tackle difficult questions and finish a project. Research opportunities are available to students throughout the year, both on- and off-campus. 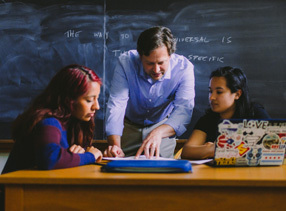 Some students choose to join programs such as Honor Scholars or Science Research Fellows (SRF) that have built-in research components, but opportunities are available to every student regardless of program affiliation, major or class. 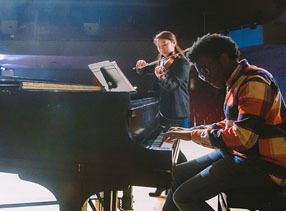 The opportunity for students to work collaboratively with faculty members on research, scholarly, and creative activities is a valuable component of a liberal arts education. 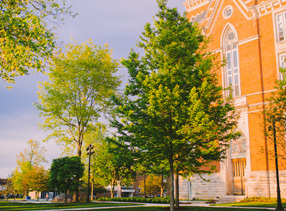 Whenever possible, DePauw University seeks to provide either academic credit or monetary compensation to students who engage in these activities. There are times, however, when a student is eager to pursue an opportunity for more informal collaboration for which neither credit nor funding is available. 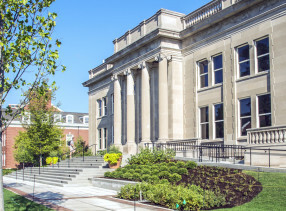 Although DePauw generally discourages these "voluntary" activities, exceptions may be made where possible, with approval from the Offices of Academic Affairs, which will consult with Human Resources and Risk Management. 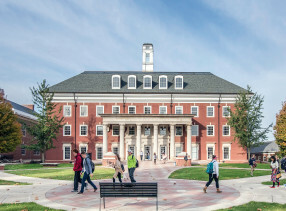 Approval of voluntary collaboration between students and faculty members during the summer does not grant students access to University housing. 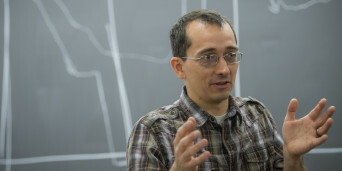 Faculty members are tremendous resources to students as they navigate their interests. For students who don't know where to turn to find the right opportunity or who need support in taking the next step beyond their research project, they are encouraged to contact the staff of the Asher Office of Undergraduate Research, Scholarship & Creative Activity.